NYBBS in rehearsal on day one in Norway. 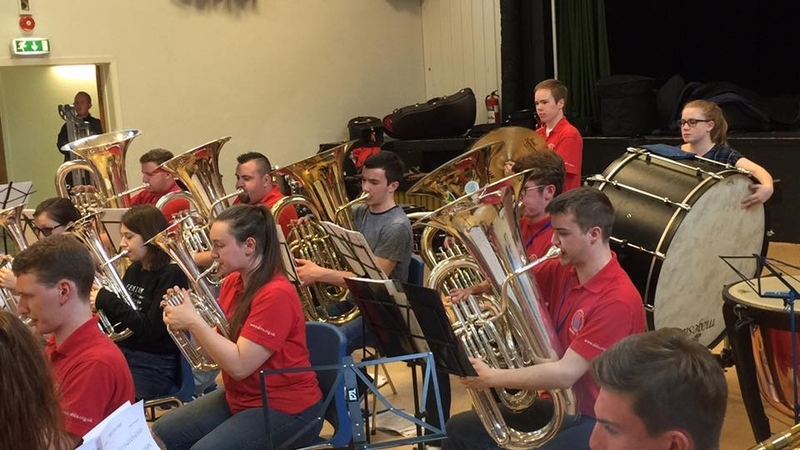 DAY one of the National Youth Brass Band of Scotland's trip to Norway has passed in a flash! There has been lots of travelling - from Campbeltown to Carnoustie, NYBBS members descended on Aberdeen for their flight. The journey was smooth and everyone (instruments and equipment) made it to the Åsane Folkehøgskole without a hitch (well, almost). After settling into their rooms and enjoying a well-deserved meal, it was down to business as the band enjoyed a rehearsal with its Musical Director, Russell Gray.